Kids just love drumming and mostly use the household items for this purpose like stool, table and pots. To give them a real feel of drumming and to avoid that banging away of stools we have just repurpose some all time available home goods to make a DIY duct tape drum out of them. To shape it up was really easy and quick but this DIY duct tape idea is unique in kind and has never been tried yet. 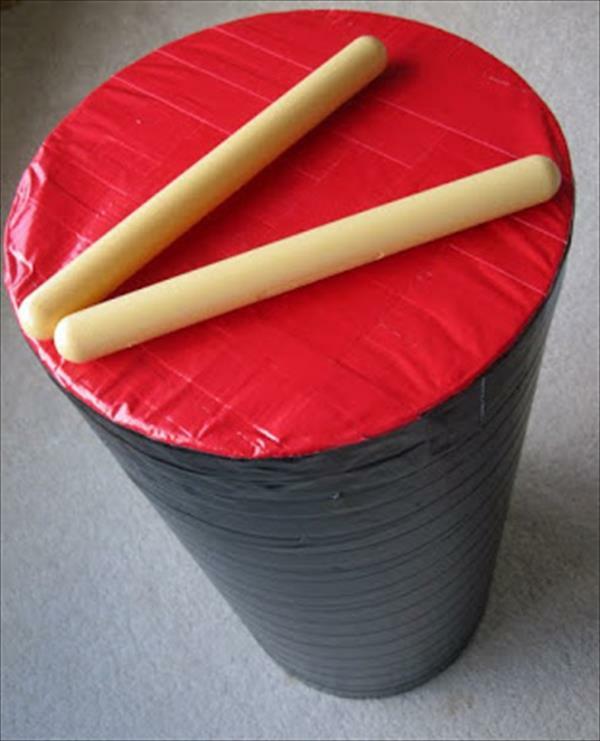 We have just cut the cardboard tube and wrapped the both sides with duct tape, this arrangement came up with a nice and appreciated drum like shape which will held much precious to all loving kids. 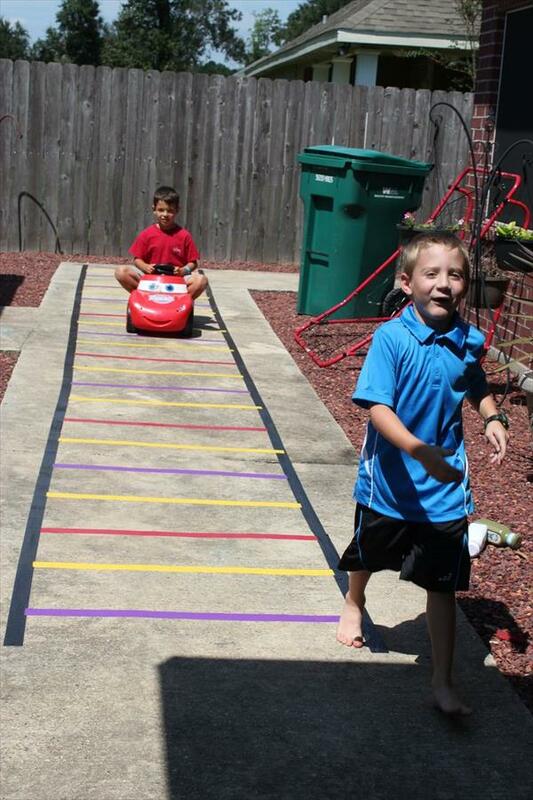 You can also try this DIY duct tape craft which is much fun and full of enjoyment. You can find a plenty of such a great ideas out of duct tape which carry a lot for fun, home decorations and jewelry items. Just take craft knife in palm and cut the cardboard tube into halves (you can cut it to any size you want) and make the edges smooth. 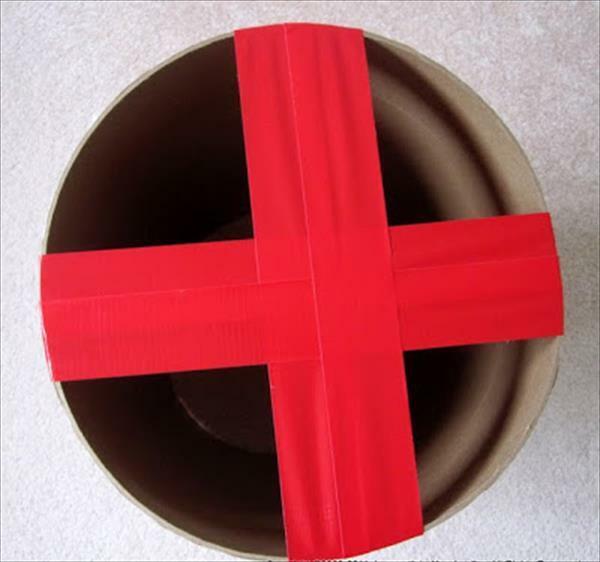 Now release the two strip of red duct tape, a little bit more than the diameter of the cardboard tube, and start closing the opening of the tube. The idea to wrap up the 2nd opening with packing tape will work great for two types of sounds while being beaten. Cover the rest of tube with any color of your own choice, we have chosen black for the body of the drum which makes a nice contrast to the red beatable surface. Try some more DIY duct tape tutorials to find some more useful and worthy out of duct tape.